Earlier this year, Utada Hikaru celebrated her 15th anniversary in the music industry be releasing a remastered edition of her debut album “First Love.” The celebration continues on December 9 with the release of a cover tribute album. The album is titled “Utada Hikaru no Uta.” “Utada Hikaru no Uta” will feature several artists, from up and comers to big names. The lists of artists and songs to be featured on the album has yet to be announced but will be in the near future. A special site for the album has been launched. 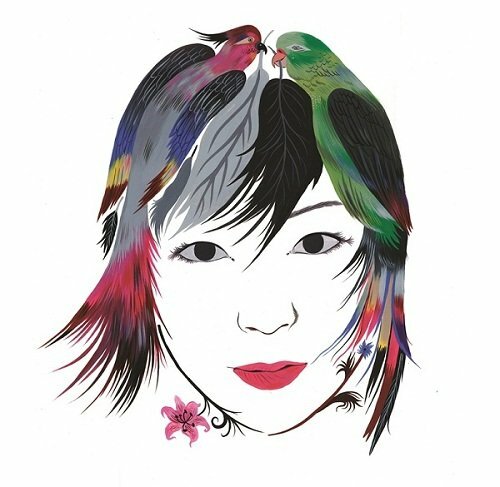 The site will feature Utada-inspired artwork such as the picture in the header and the one after the jump by German graphic designer Carolin Loebbert.